SEO trick. What is Zombie Blog? Zombie Blog is blog that has been deleted by its owner and can be revive by another blogger when it reach its expiration time.. Some Zombie blogs have old age with high Page Rank, of course this kind of blog so powerfull to get visitor from its age and its page rank. A lot of bloggers looking for zombie blog. Indeed, this activity is interesting because it's having its own challenges. 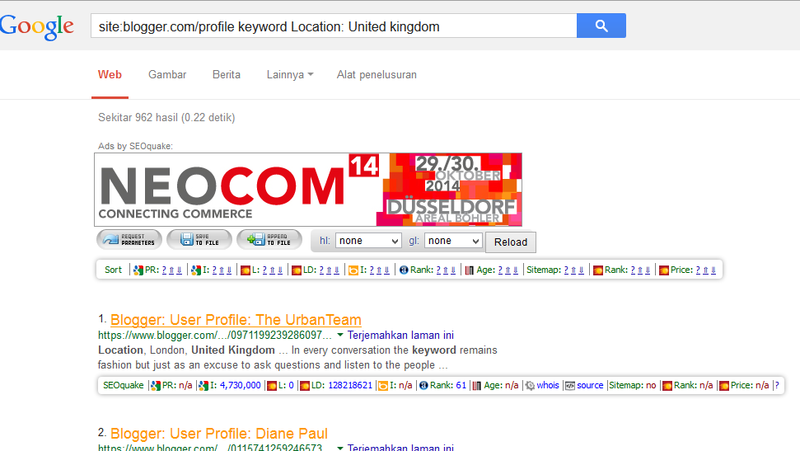 The problem when you are looking for blogspot that has been removed with high PageRank it is also not easy. It probably would be a unique experience for those who do, with great difficulty when you find one just blogs zombies with high pagerank maybe you will be very happy. Patience, maybe that's the word that should be used as a motto for those who are looking for zombie blog using techniques by manual. Of course you need to check every blog from many blogs to find the erased one, the more old age or more popular may have a high PR. For those of you who may have never tried it and want to try to please just because until now there is no restrictions to revive deleted blog to re-register and re-used. But it would be nice and helpful if the blog you find will be made more useful. 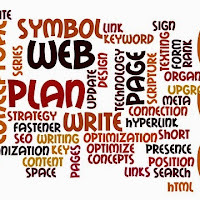 With so would not only can be used for backlink to your main blog, but also from a zombie blog that you manage well it certainly could also produce better earnings as well. My advice, when you try searching for zombie blogs make sure you're not logged on your main gmail account to avoid the possibility of your account blocked because of your IP traffic is detected perform excessive activity. 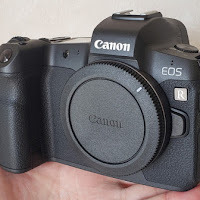 This happen because you definitely will repeatedly visit many blogs in a short time at the time of checking the blog one by one to determine whether the deleted blog can be registered again or not. Because not all the blogs that have been deleted you can register. The way to look like the following. 1. Using Mozilla Firefox browsing, then you first to install the Add On "LinkChecker", which will be used to check the valid link or not. 2. Then Install Addons "Seoquake " or "Mozbar" to check the ranking of zombie blog you search. 4. Copy one command as above on google search, then click one of the search result and see the blogger profiles will be entered into the Admin page with some blogs are owned and followed. 5. 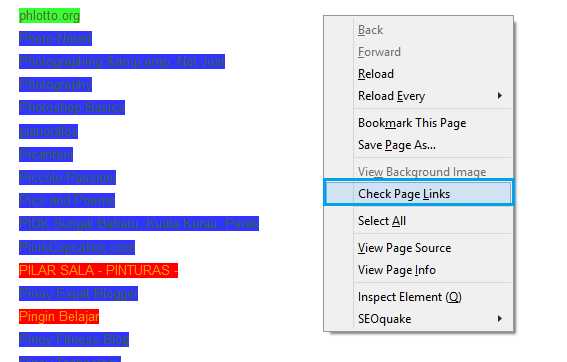 If the add on "LinkChecker" already installed in your browser, then on the profile page you find, select anywhere your cursor then you only need to right-click and click on the "Check Page Link", and let the addons check all links on the blogger profile page until completion. 6. If there is a link that marked with red color, it means the blog has been deleted, and the link is marked green is a blog is still active. To check whether a deleted blog can still be registered or not, you have to click on the marked red link. If a blog you found can be registered and has a high PR you just register please go directly into a new blog. Blog with PR 0 is not too bad, because to achieve a pagerank 0 it took one more year. PR 0 is better than Not Available PR or n/a PR. Some blogs I found is available to be re-register. A deleted blog need 3 months or 6 months in order to be available re-register, if it is not available now, you can check it in next day or next week, there are so many zombie blog need to be revive again by you, so just find them and get the visitor! 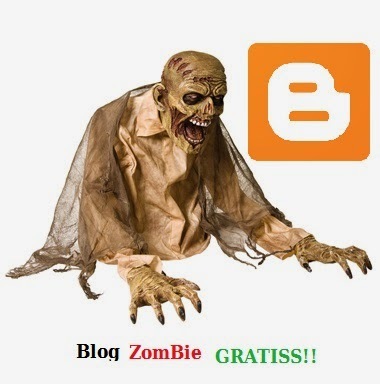 How to locate a zombie blog is actually very easy does not it? 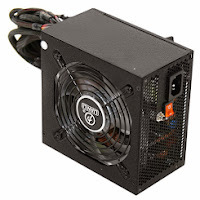 Only to find high pagerank of zombies blog and can be registered, which is quite difficult. For those of you who are curious to try it just to experiment, good luck.